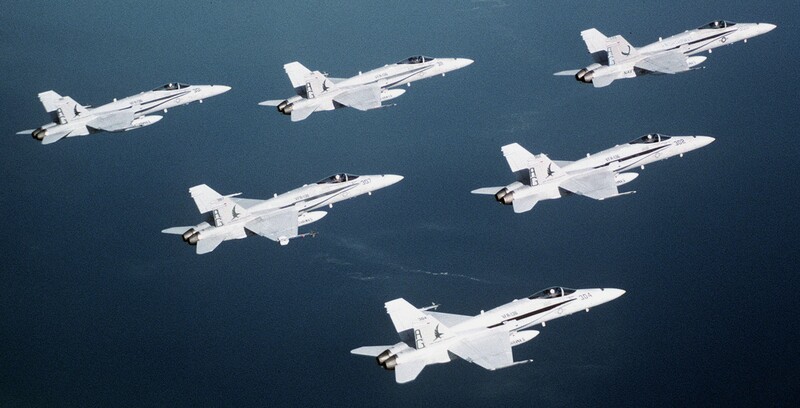 Strike Fighter Squadron ONE THREE SIX was established in July 1985 at Naval Air Station Lemoore, California. 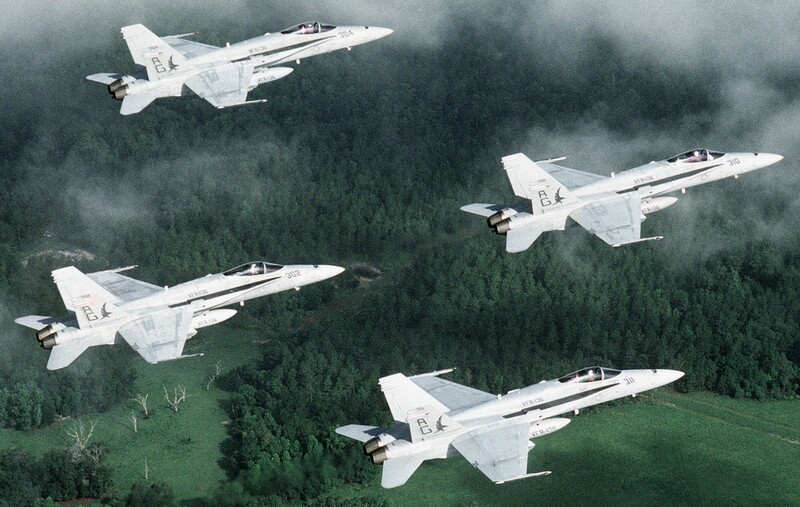 Seven months later, the KNIGHTHAWKS changed homeport to Naval Air Station Cecil Field, Florida, where they trained and resided until their relocation to Naval Air Station Oceana, Virginia, in December 1998. 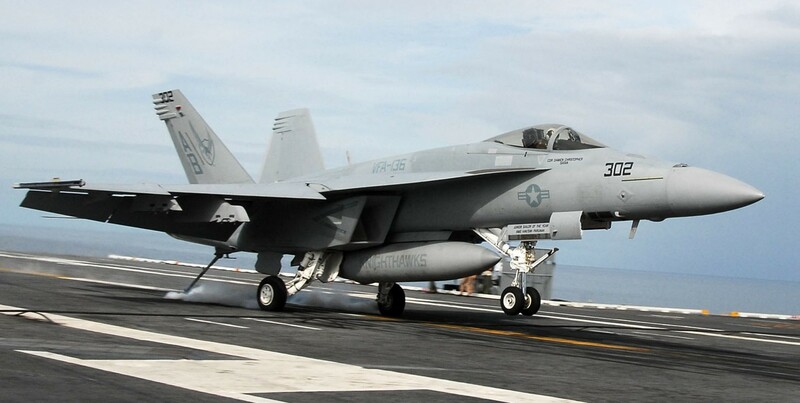 VFA-136 rapidly established itself as a leader in the Strike Fighter community. 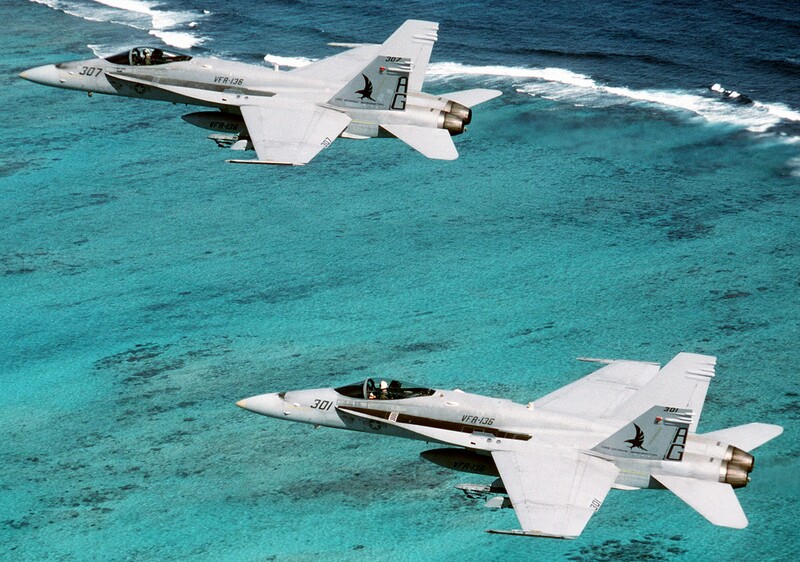 VFA-136 first deployed in September 1987 with Carrier Air Wing THIRTEEN onboard USS CORAL SEA (CV 43). One year later, the KNIGHTHAWKS joined Carrier Air Wing SEVEN in USS DWIGHT D. EISENHOWER (CVN 69). 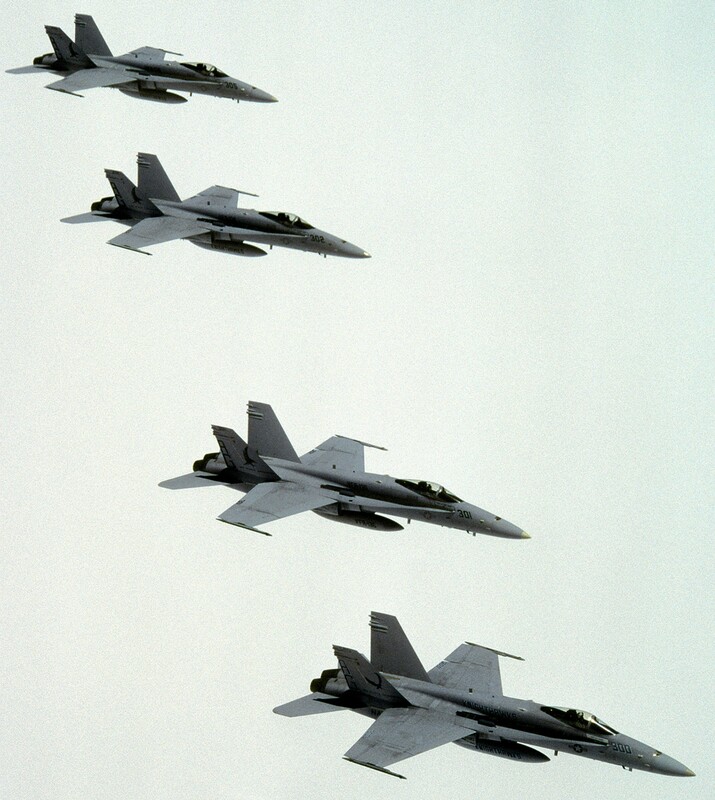 During the IKE’s “Centennial Cruise” in 1990, the KNIGHTHAWKS participated in Exercises DISTANT THUNDER, DRAGON HAMMER ‘90, and DASIX. These opportunities to work with French, British, Italian, and Tunisian forces provided invaluable training for VFA-136. The cruise took its most serious turn after Iraq invaded Kuwait on 2 August 1990. 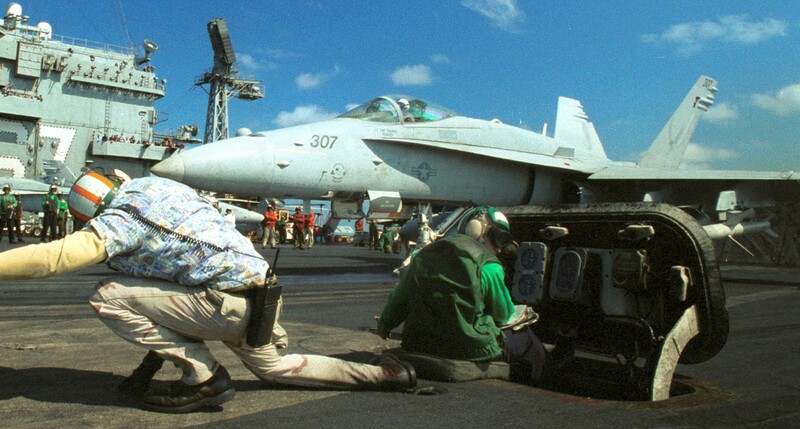 In support of Operation DESERT SHIELD, USS DWIGHT D. EISENHOWER was on station in the Red Sea within 36 hours, becoming the first carrier to conduct sustained operations in the area. 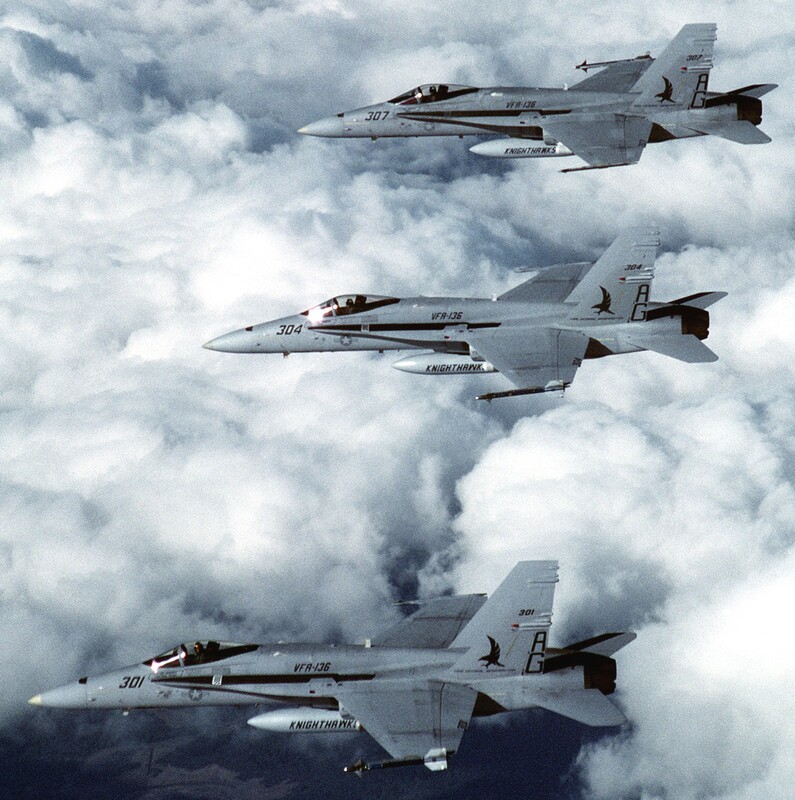 Upon returning from deployment, all KNIGHTHAWK aircraft were upgraded to the new Lot XIII Night Attack version, becoming the first fully operational night strike fighter Hornet squadron in the Navy. In October 1991, the KNIGHTHAWKS and IKE were back to the Middle East to enforce the peace accords set after Operation DESERT STORM. Following those operations, the team transitioned to the North Atlantic to participate in the NATO Exercise TEAMWORK ‘92. At the time, this was the largest NATO exercise in over three years. When the KNIGHTHAWKS returned from deployment, there was little time for rest. 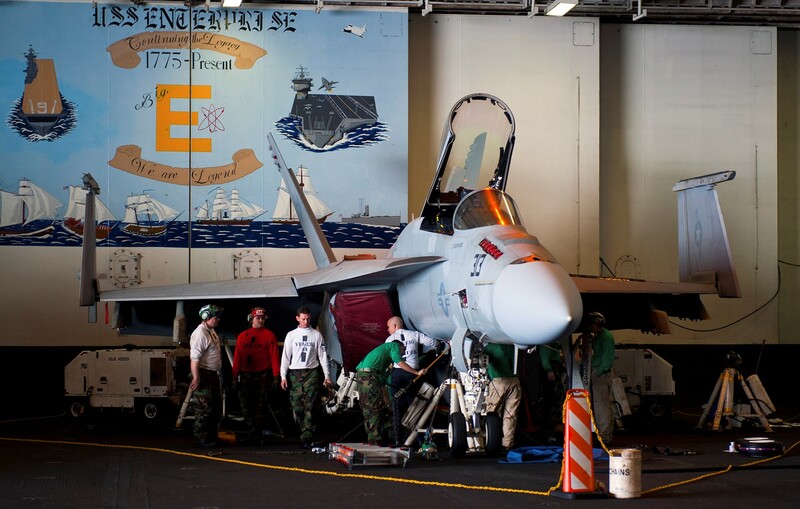 The KNIGHTHAWKS started preparations for Carrier Air Wing SEVEN’s move to the Navy’s newest aircraft carrier, USS GEORGE WASHINGTON (CVN 73). 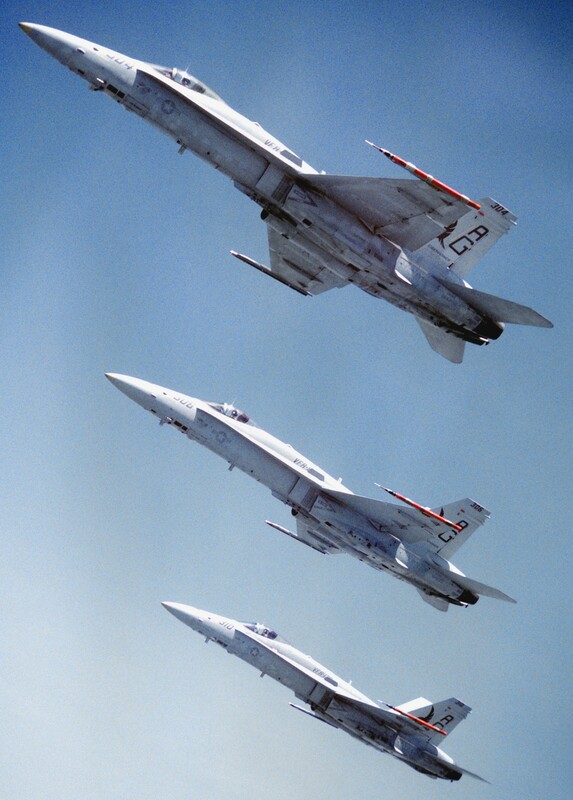 The squadron completed this transition in the fall of 1992 with the GW Shakedown Cruise. 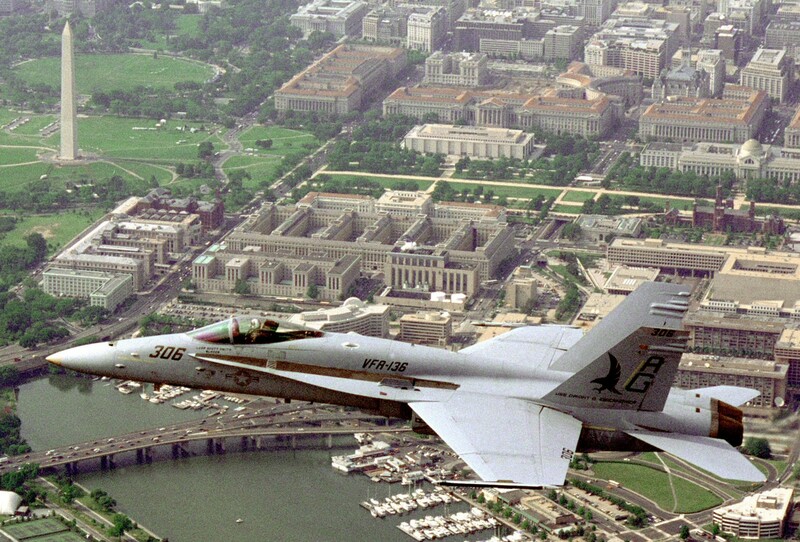 As part of its maiden deployment in May 1994, GW was the flagship for the celebration of the 50th Anniversary of D-Day and hosted President Clinton during the ceremonies. After the D-Day celebration, the KNIGHTHAWKS participated in NATO Operations DENY FLIGHT, SOUTHERN WATCH, and VIGILANT WARRIOR. In addition, supporting NATO, the KNIGHTHAWKS also participated in exercises in England, France, Sicily, Jordan, Tunisia, Bahrain, and Oman. GW’s maiden deployment returned to Norfolk in November 1994. 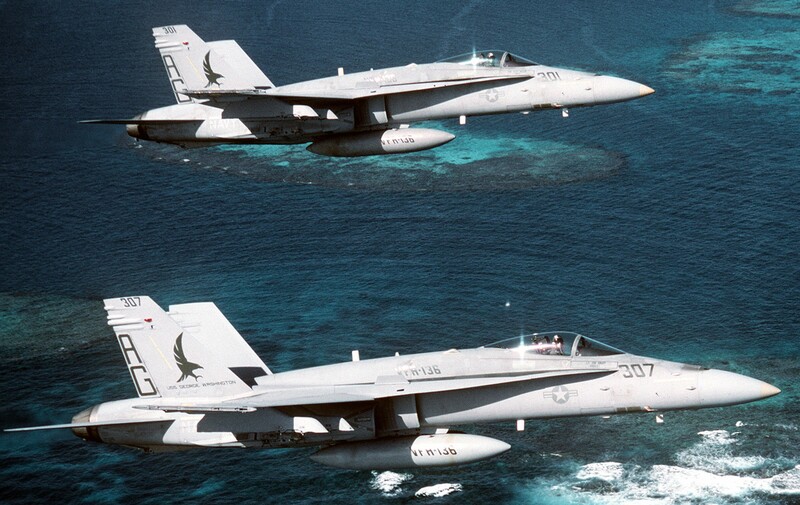 After another short turnaround cycle, the KNIGHTHAWKS deployed again onboard GW in January 1996 for Med 96-1. The KNIGHTHAWKS participated in Operation DECISIVE ENDEAVOR, helping the GW Battle Group in providing peace to Bosnia-Herzegovina. 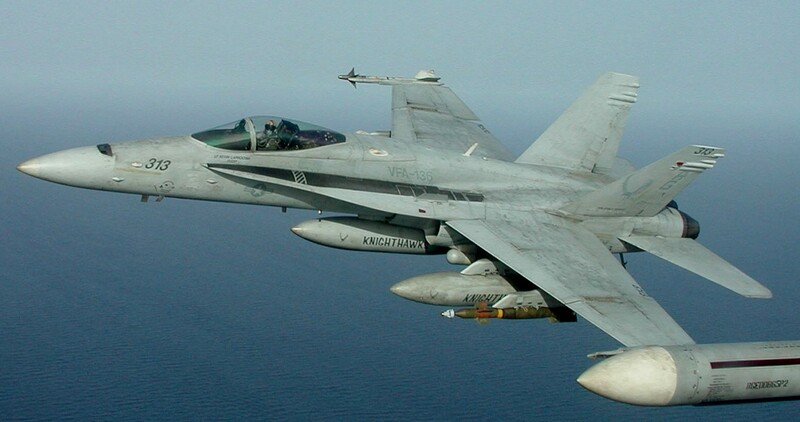 After operations in the Adriatic Sea, the KNIGHTHAWKS honored commitments in the Arabian Gulf, flying in support of Operation SOUTHERN WATCH, where the Battle Group helped enforce the U.N. sanctions against Iraq. The KNIGHTHAWKS capped off the deployment by winning both the Air Wing Bombing Derby and “Top Hook” awards. 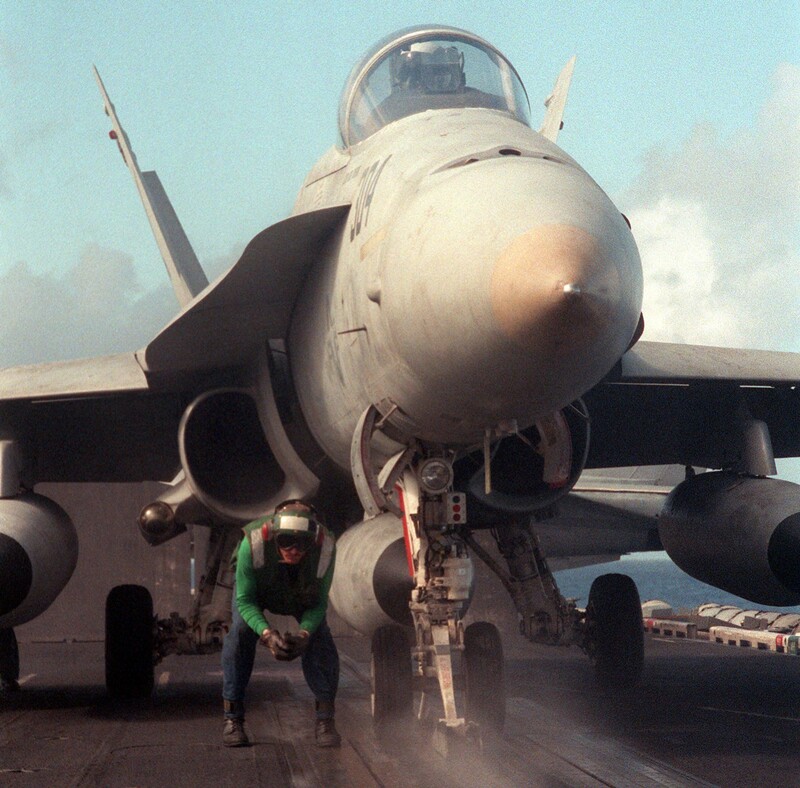 In February 1998, the KNIGHTHAWKS embarked on the maiden deployment of USS JOHN C. STENNIS (CVN 74). During its circumnavigation of the globe, the Battle Group supported Operation SOUTHERN WATCH. The deployment culminated with the arrival of USS JOHN C. STENNIS in its new homeport of San Diego, California. 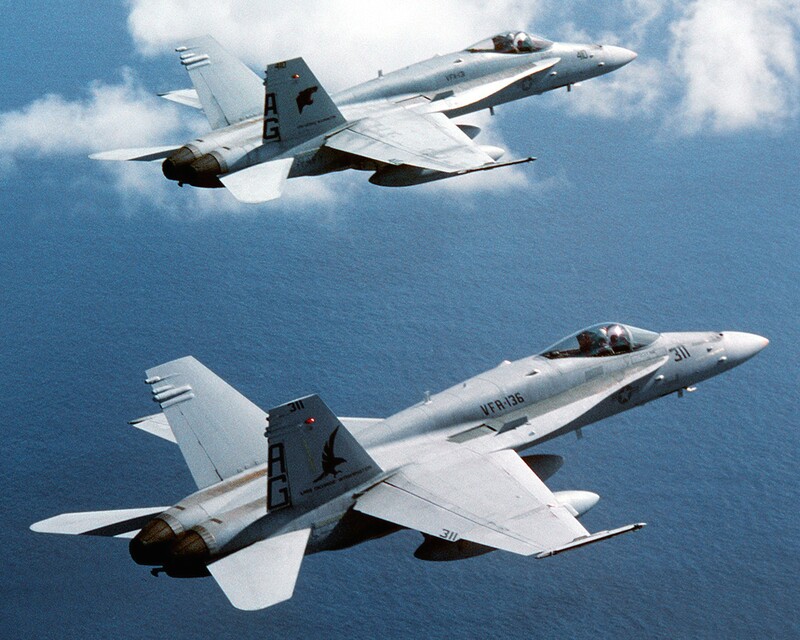 Immediately following their return from this cruise, the KNIGHTHAWKS changed homeport to Naval Air Station Oceana, Virginia. In February 2000, the KNIGHTHAWKS returned to USS DWIGHT D. EISENHOWER (CVN 69) for the Millennium Med Cruise/Persian Gulf Deployment. While in the Med, they initiated a first-ever joint exercise with the armed forces of Hungary and participated in Operations JOINT FORGE and JOINT GUARDIAN over the countries of Bosnia and Kosovo. Shortly thereafter, the Battle Group endured the heat of the Persian Gulf in support of Operation SOUTHERN WATCH where the KNIGHTHAWKS dropped ordnance in combat for the first time in the squadron’s history. 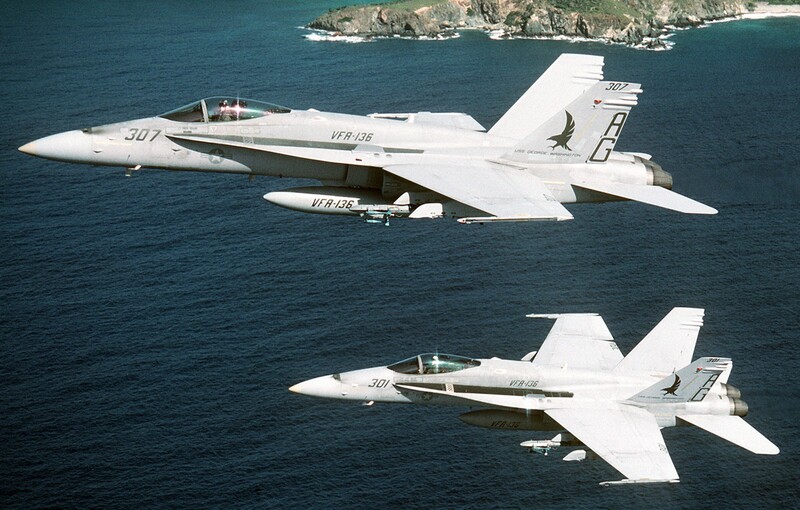 Again in September 2001, the KNIGHTHAWKS were called upon as the first squadron to deploy on hours notice to USS GEORGE WASHINGTON (CVN 73) in support of Operation NOBLE EAGLE. 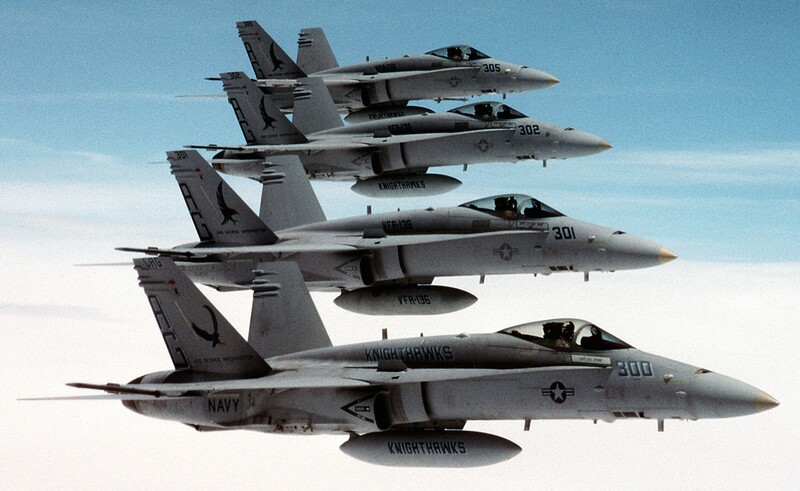 There they flew armed combat air patrol missions protecting the Northeast corridor of the United States following the September 11th terrorist attacks. 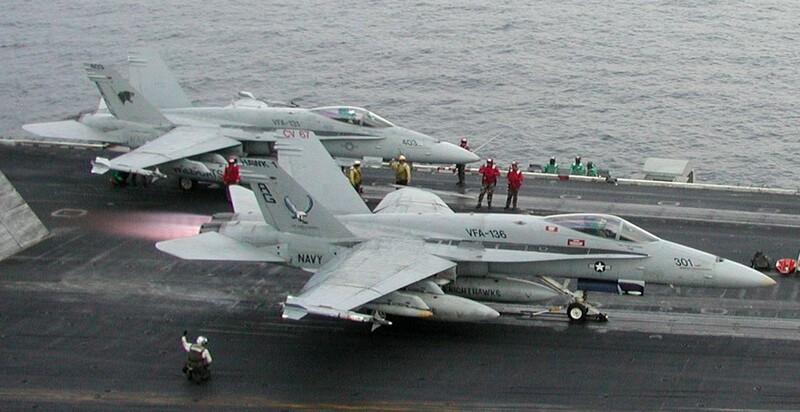 In February 2002 after a turnaround cycle, the KNIGHTHAWKS deployed onboard USS JOHN F. KENNEDY (CV 67) in direct support of Operation ENDURING FREEDOM and the war on terrorism. This deployment demonstrated the tactical performance of the KNIGHTHAWKS as they provided support for combined ground forces engaged in battle. 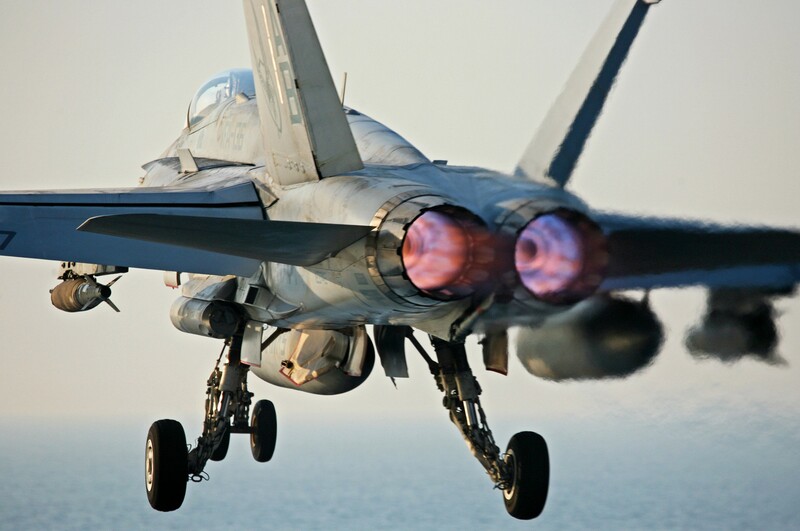 The KNIGHTHAWKS led Carrier Air Wing SEVEN across the beach on its first night in combat and provided five months of air superiority and close air support for coalition forces defending freedom on enemy soil. 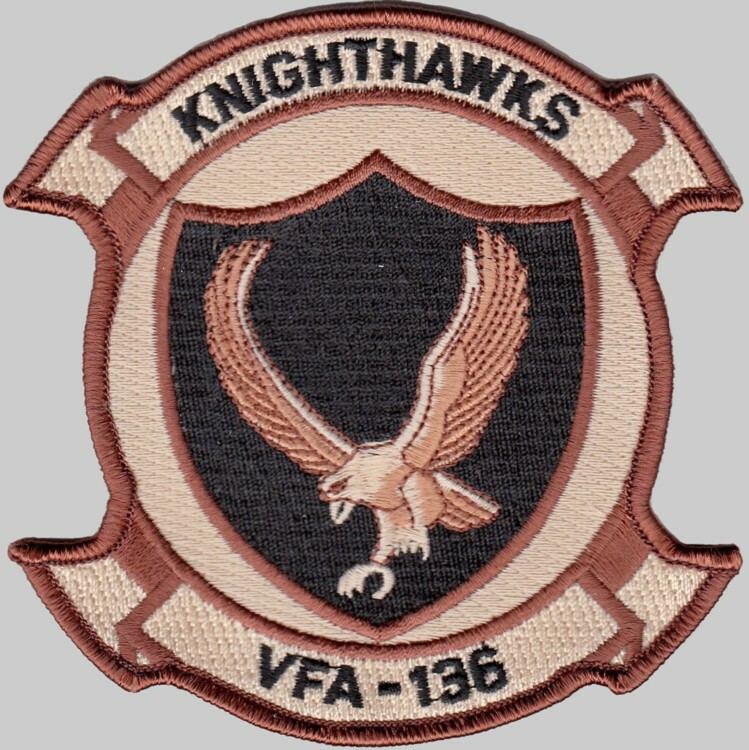 The KNIGHTHAWKS began 2003 by providing Orange Air Support to the future Operation IRAQI FREEDOM warfighters in Puerto Rico. 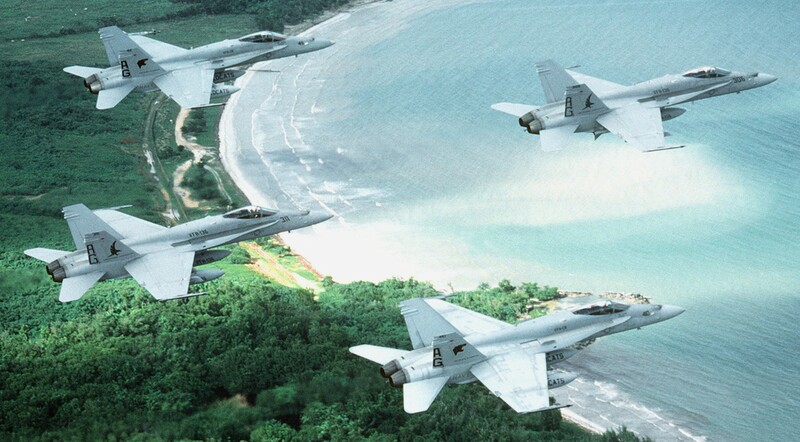 The KNIGHTHAWKS were the last squadron to utilize the Vieques range before its closure in February 2003. VFA-136 in-chopped along with Carrier Air Wing SEVEN to Commander, Carrier Group EIGHT and completed their turnaround cycle. 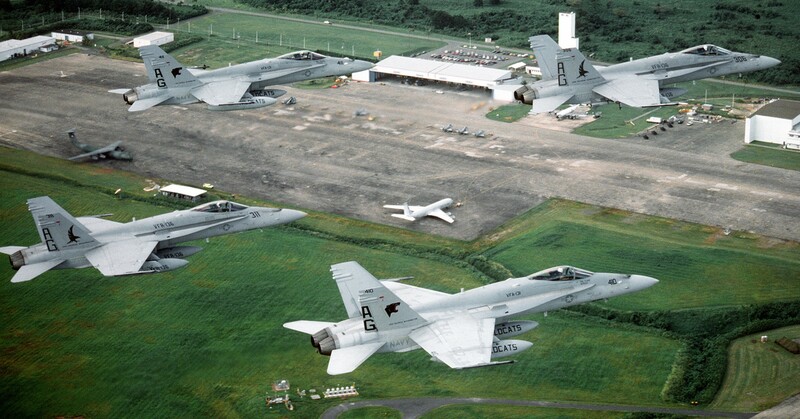 Due to the closure of Vieques, the KNIGHTHAWKS ended the year participating in one of the first Composite Training Unit Exercises from the East Coast of the United States. 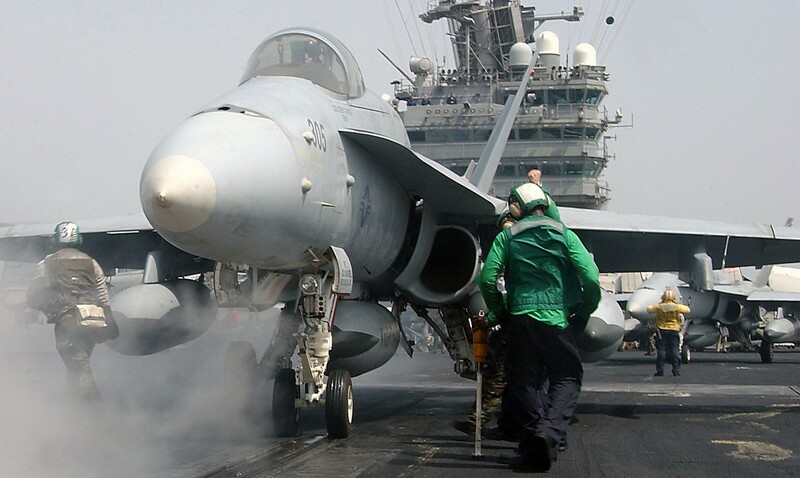 In January 2004, the KNIGHTHAWKS deployed aboard USS GEORGE WASHINGTON (CVN 73), in support of Operation IRAQI FREEDOM. 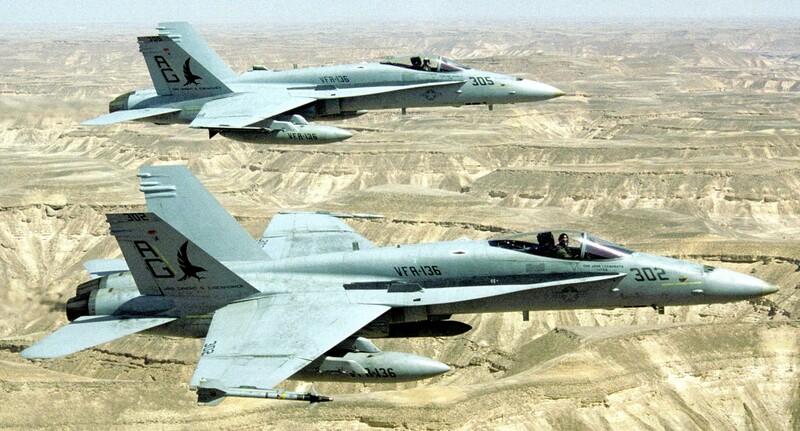 During this deployment, the KNIGHTHAWKS also participated in joint exercises with the Jordanians, United Arab Emirates, and Bahrainis in Exercises INFINITE ACCLAIM, IRON AGATE, and INITIAL LINK. 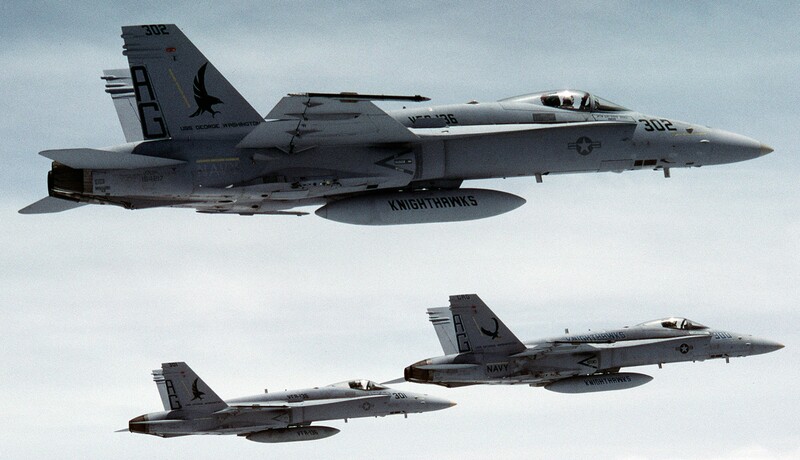 The KNIGHTHAWKS ended an extremely successful deployment by winning the “Top Hook” award and topped this off by receiving the COMNAVAIRLANT 2004 Safety “S” Award. 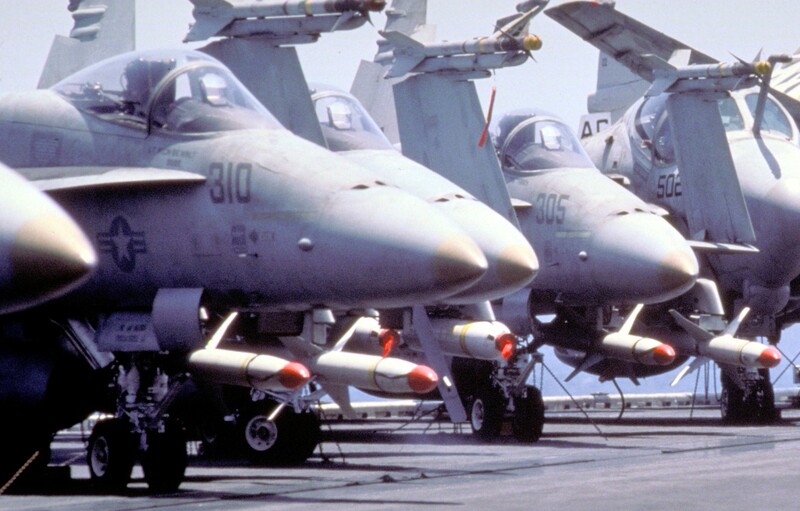 After USS GEORGE WASHINGTON pulled into Norfolk in July 2004, the KNIGHTHAWKS commenced a six-month surge/maintenance phase. 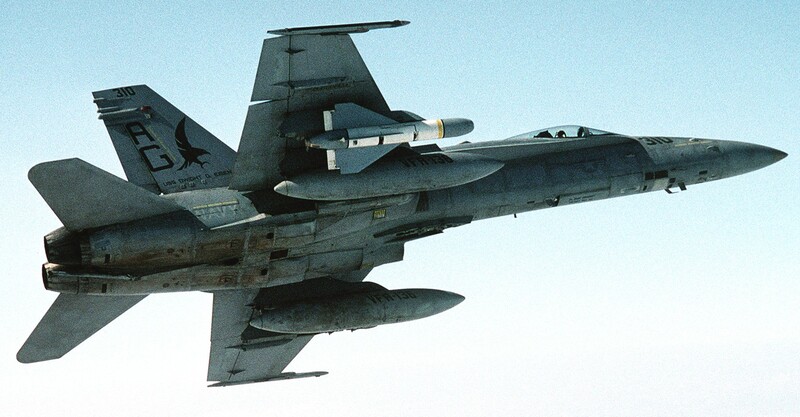 During this period the KNIGHTHAWKS setup and executed a highly successful joint USN/USAF AIM-120 missile shoot; a coordinated effort of eight squadrons and resulted in the employment of 14 AIM-120 and 7 Tactical Air-Launched Decoys (TALD). 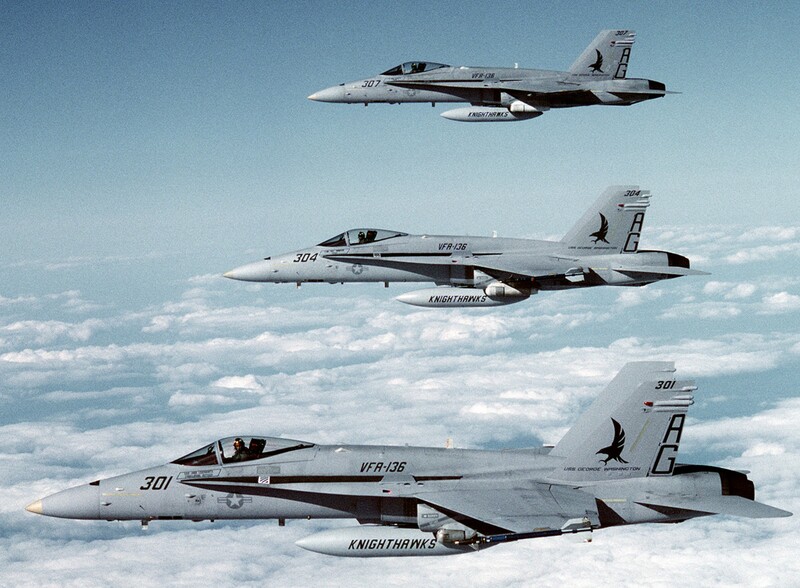 Then, they transitioned from Carrier Air Wing SEVEN to Carrier Air Wing ONE in January 2005. In March 2005, they participated in JOINT RED FLAG/ROVING SANDS, a large-scale exercise sponsored by the Joint Forces Command as a means of practicing joint-interoperability air defense tactics. During ROVING SANDS, the KNIGHTHAWKS worked with the Army, Air Force, and Marines as well as with the Royal British Air Force to provide essential support and training for the Army’s air defense units. 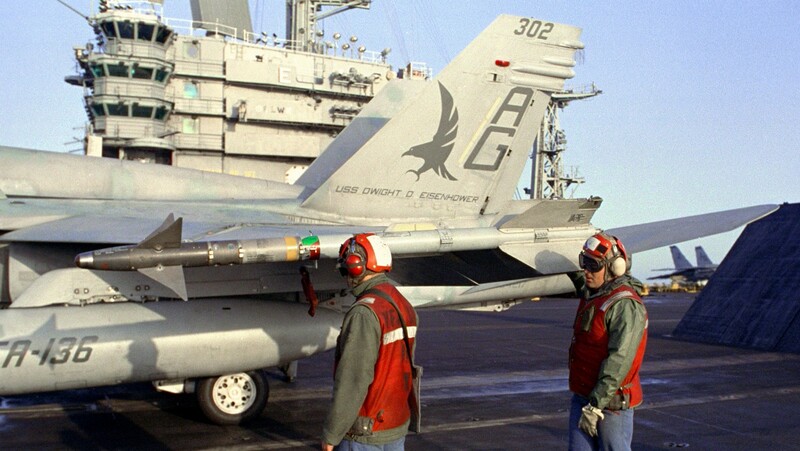 The KNIGHTHAWKS completed their surge/maintenance phase with a successful detachment in USS DWIGHT D. EISENHOWER in April 2005. 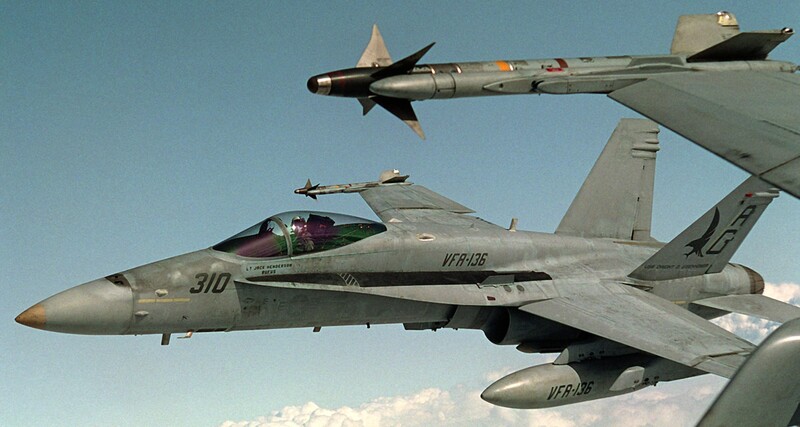 In June 2005, the KNIGHTHAWKS led a CVW-1 A/A missile exercise in which VFA-136 pilots successfully employed 3 AIM-7, 2 AIM-9, and 1 TALD. Then they commenced their workup cycle by detaching to Fallon, Nevada, at the end of July. 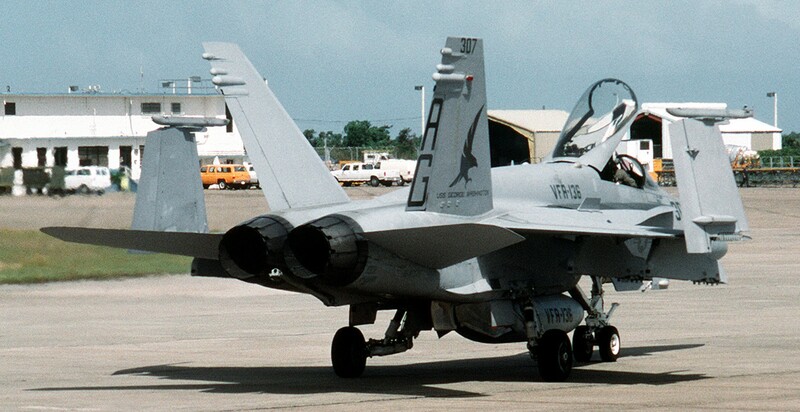 In August 2005, the KNIGHTHAWKS participated in a joint Carrier Air Wing ONE/Carrier Air Wing SEVEN HARMEX/SINKEX, resulting in the expenditure of 18,000 pounds of VFA-136 Non-Combat Expenditure Armament and 1 AGM-88B HARM. 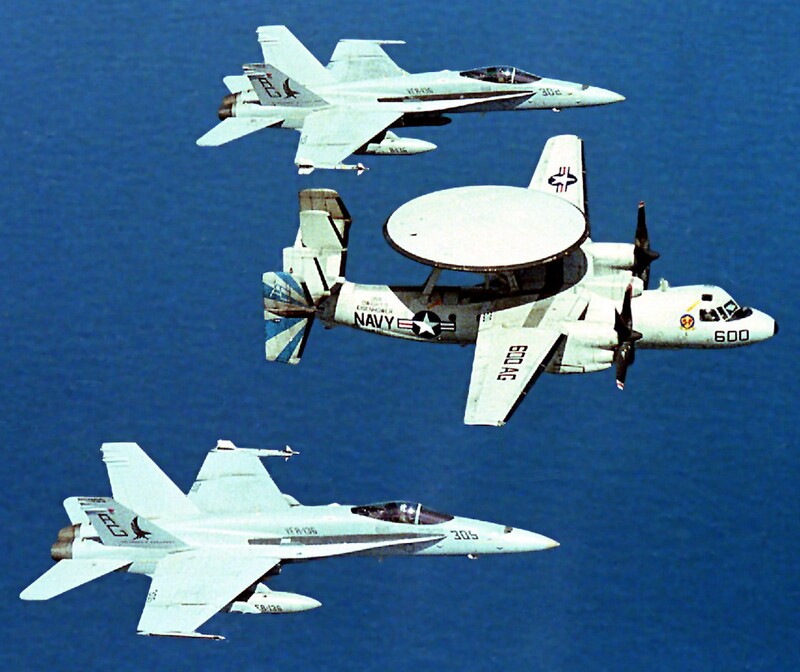 During the months of September, October and November 2005, the KNIGHTHAWKS completed carrier qualifications and a TSTA detachment onboard the USS ENTERPRISE (CVN 65) with CVW-1. They ended 2005 with the Department of the Navy Safety Excellence Award. 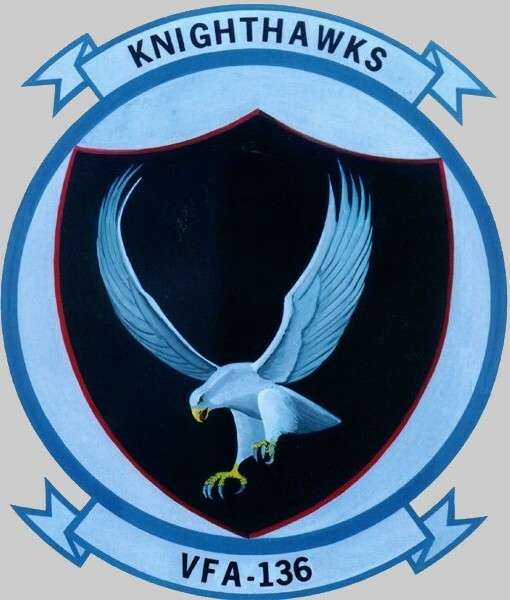 The KNIGHTHAWKS started 2006 with an extremely successful Air Wing Fallon Detachment. 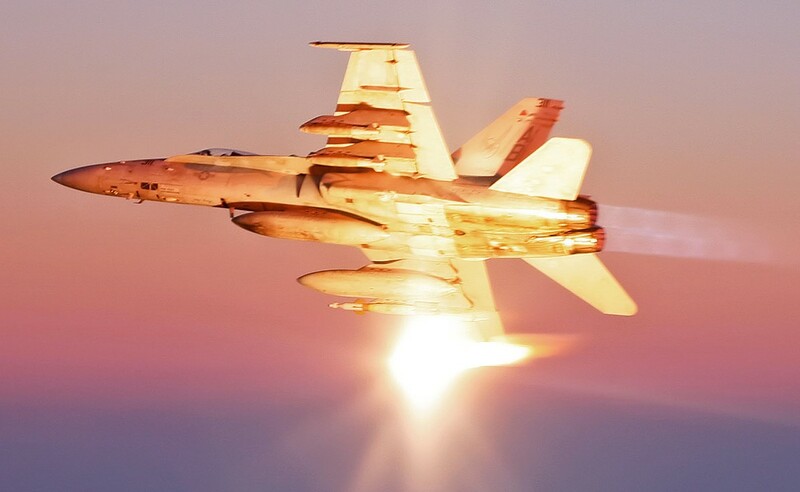 During which time, they participated in a Joint Direct Attack Munitions (JDAM) Tactical Development and Evaluation, followed by Composite Training Unit Exercise in USS ENTERPRISE in February and March. 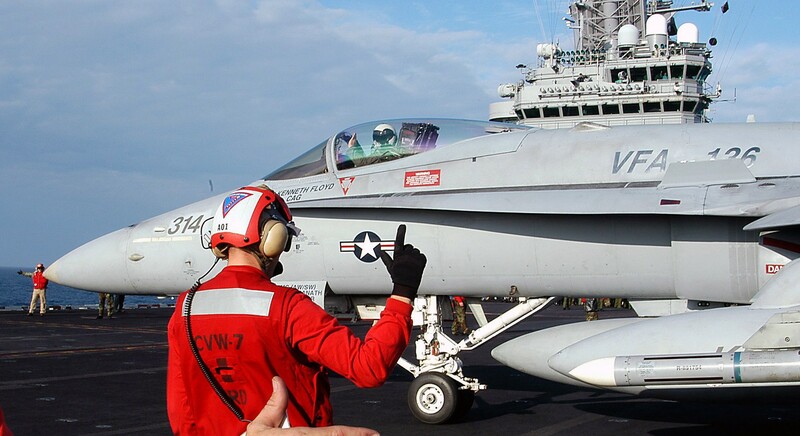 In May 2006, the KNIGHTHAWKS returned to USS ENTERPRISE for a cruise that would take them almost all the way around the world: from Norfolk to the far east. Port stops included Croatia, Greece, Dubai, South Korea, Hong Kong, Malaysia, Singapore, and Portugal. 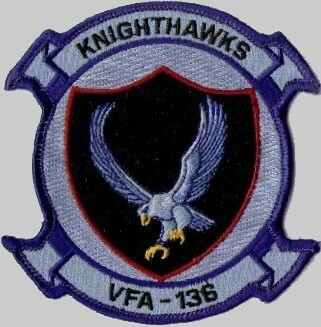 The Knighthawks flew combat missions in direct support of Operations IRAQI FREEDOM and ENDURING FREEDOM. 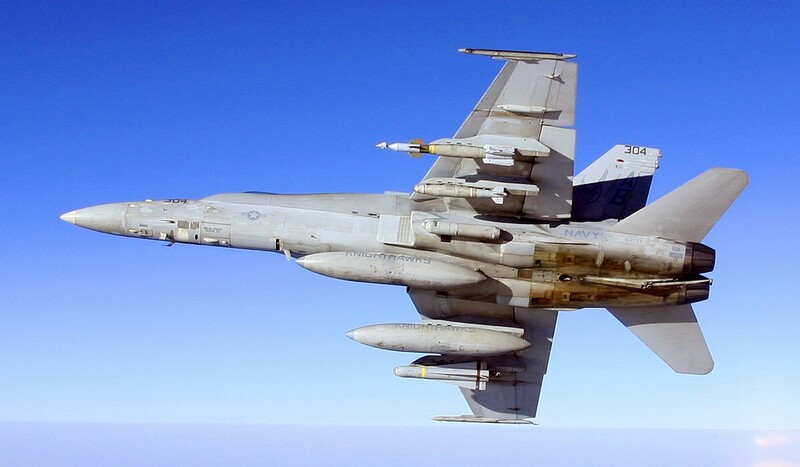 Their support of Operation ENDURING FREEDOM included the employment of multiple GBU-12s, 500 pound JDAMs, and the 20 mm gun in support of ground troops. The Knighthawks and the rest of Carrier Strike Group 12 were awarded the Meritorious Unit Commendation for their work on Cruise 2006; in addition, the Hawks were awarded the EAWS Silver Pennant and the Golden Anchor award. The KNIGHTHAWKS would not be far from ENTERPRISE, however. After returning home in November from their 2006 world cruise, the Hawks began workups one month later for a “surge” cruise aboard the “Big E”. 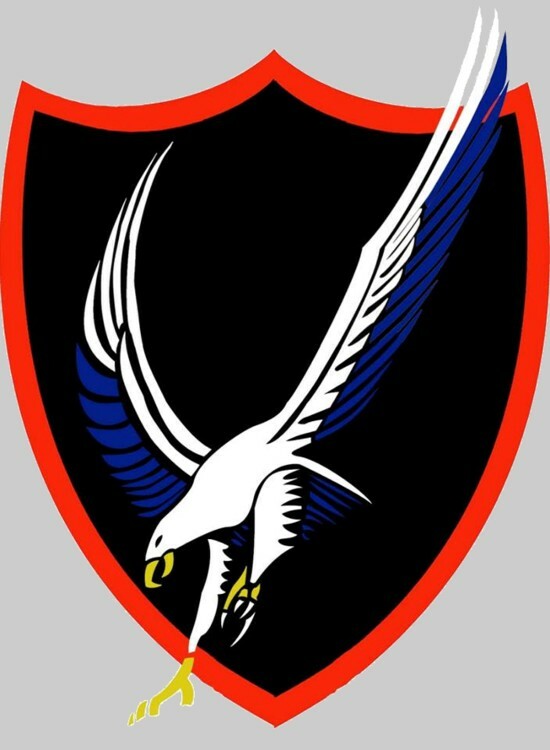 The Hawks executed a tailored work up cycle, including a two week Air Wing Fallon and two sustainment underway periods before deploying in Jul 2007. 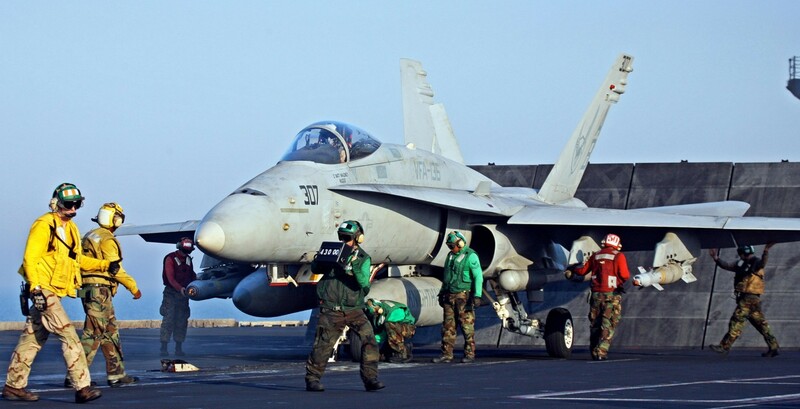 While this cruise would not find the Hawks traveling around the world like the previous year, VFA-136 was able to dive right back into combat operations. The Hawks and CVW-1 flew combat operations over Iraq for 4 months and also participated for two weeks in combat operations in Afghanistan, filling a crucial gap when Air Force F-15s were grounded for safety issues. 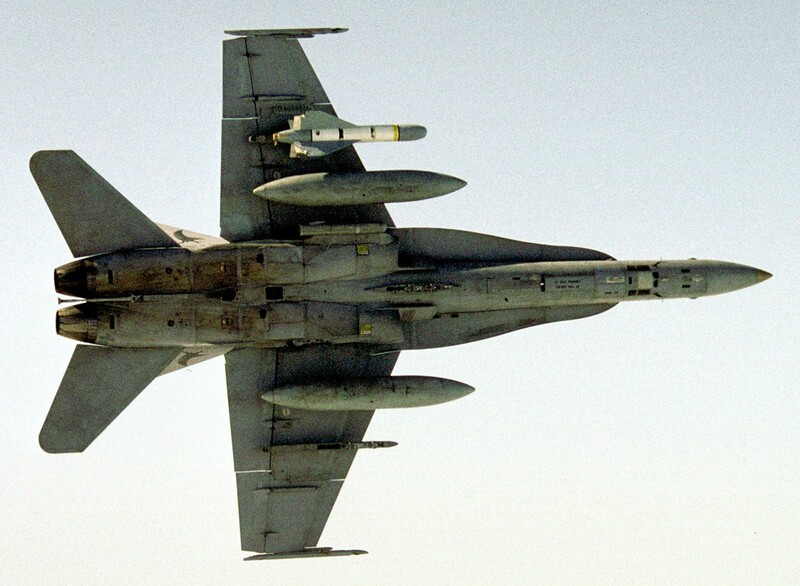 Combat operations found the Knighthawks expending 27 500lb JDAM & laser guided weapons, over 1000 rounds of 20mm, and a laser guided Maverick missile during Close Air Support missions in support of US and coalition ground troops in Iraq and Afghanistan. The Knighthawks were personally responsibly for destroying multiple weapons caches and eliminating several high value Al Queda and Taliban leaders in both OIF and OEF, helping to bring peace and stability to both AORs. After returning home on Dec 2007, the KNIGHTHAWKS entered an extended at-home period. 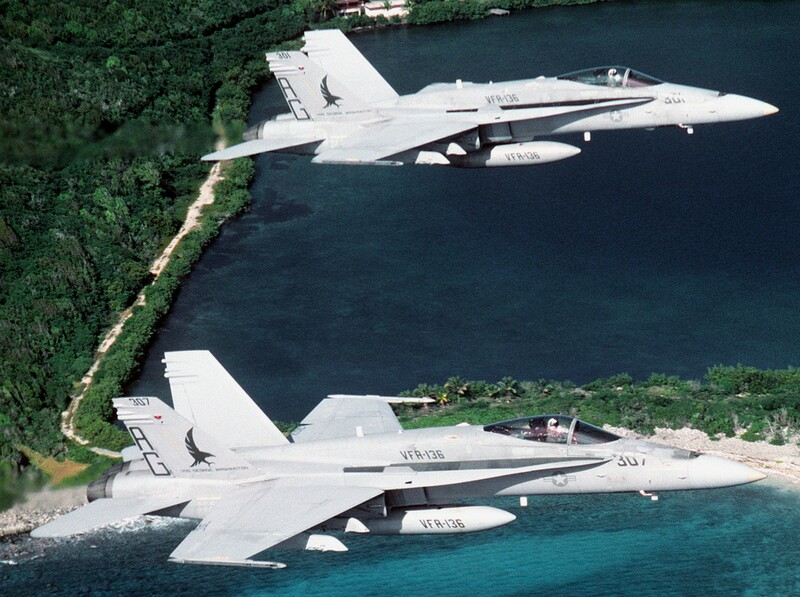 They finished a transition to Lot 30 F/A-18E Super Hornets in June of 2008. 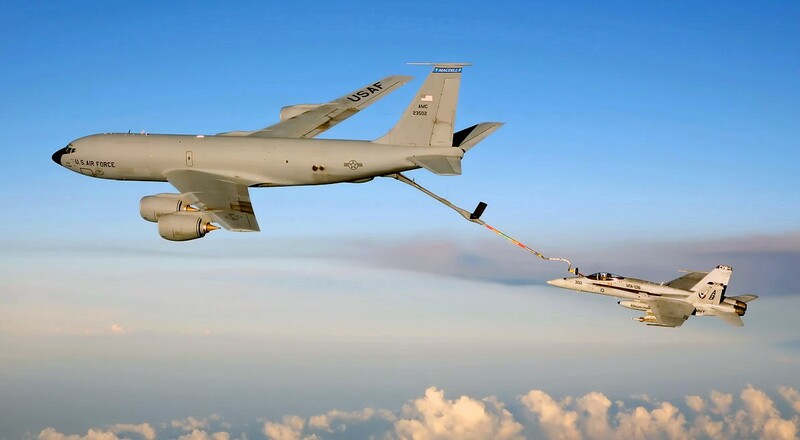 They took their new jets up to Vermont that August to participate in a joint air-to-air exercise with the Green Mountain Boys of the Vermont Air National guard. 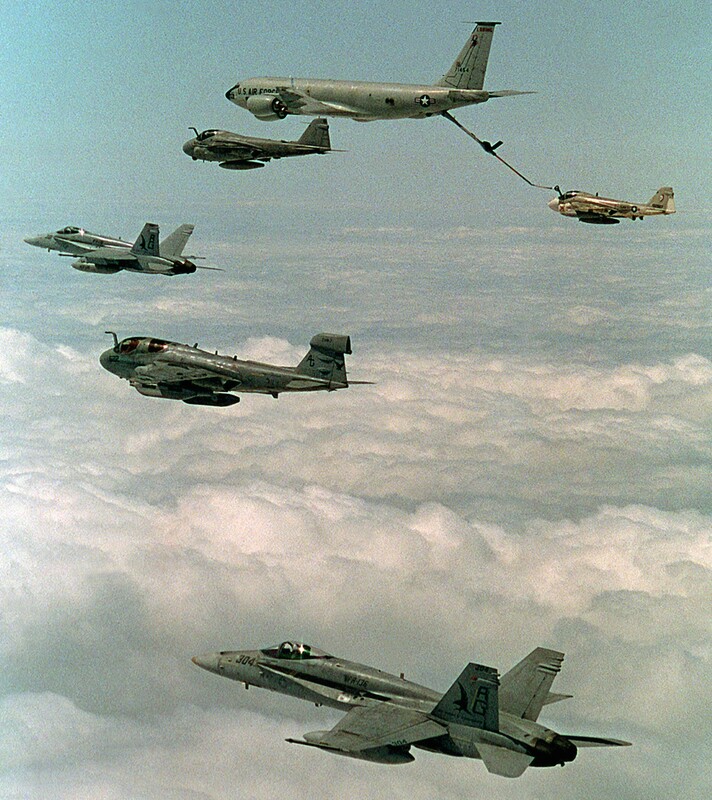 Air-to-air tactics from the detachment included both WVR and BVR. Continuing their work with the Air Force in November, the Knighthawks went to Panama City, FL to work with the American Hornets of the 2nd Fighter Squadron. While in Florida the squadron supported the training of new Air Force pilots and practiced close air support at several air to ground ranges. 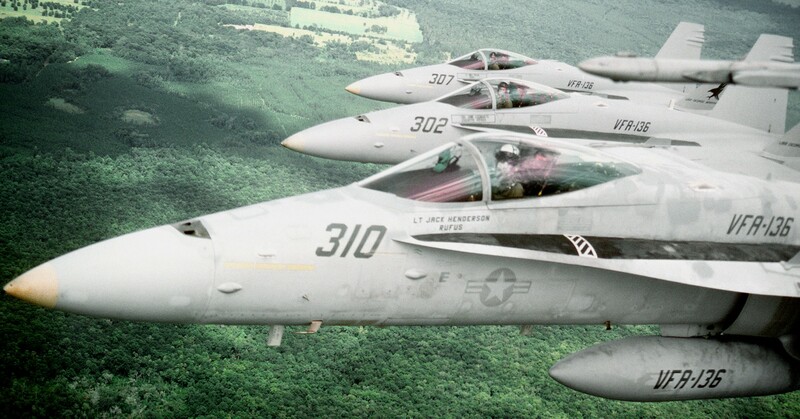 The beginning of 2009 saw the KNIGHTHAWKS make yet another successful detachment; this time to New Orleans Joint Reserve Base to work with the River Rattlers of VFA-204. 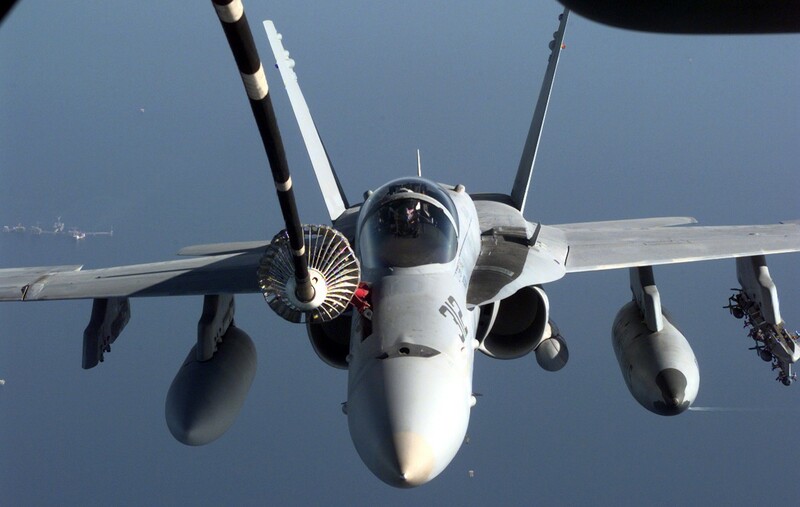 A productive two weeks in March saw VFA-136 and VFA-204 work with VMFA-251 and NSAWC to get essential air-to-air training done while qualifying two new division leads. Building on the previous detachments experiences, the KNIGHTHAWKS were also able to help the Air Force qualify five Joint Tactical Air Controllers based out of Hurlburt Field while gaining valuable experience in the air-to-ground arena. 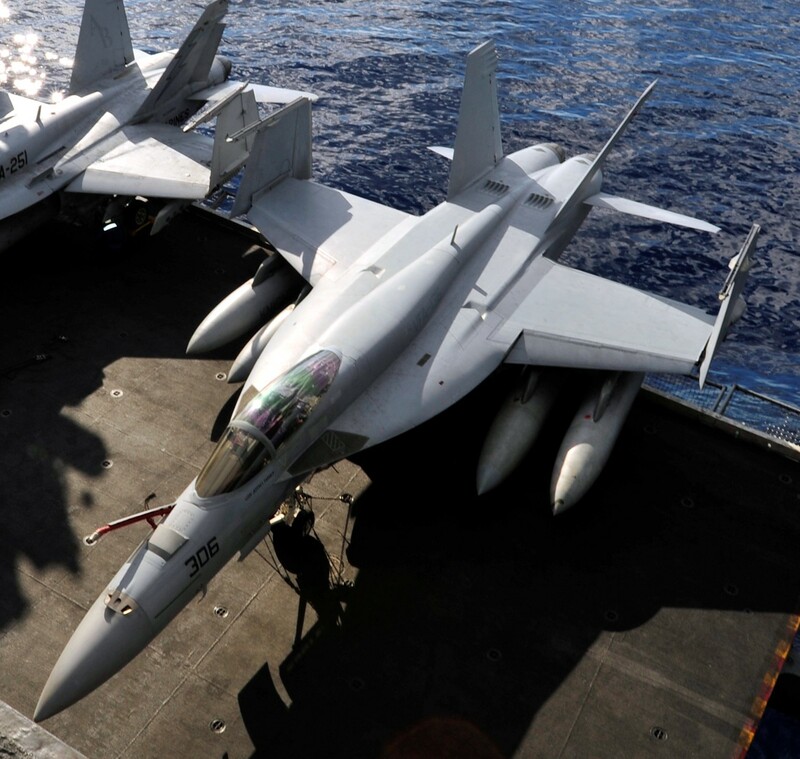 In May, the KNIGHTHAWKS were privileged to participate in the initial deck certification and carrier qualifications for the newest and final Nimitz class aircraft carrier GEORGE H.W. Bush, CVN-77. At the same time, a contingent of KNIGHTHAWKS made their way west to Nellis Air Force Base to support Joint Terminal Air Controllers (JTAC) of the 21st Special Tactics Squadron. 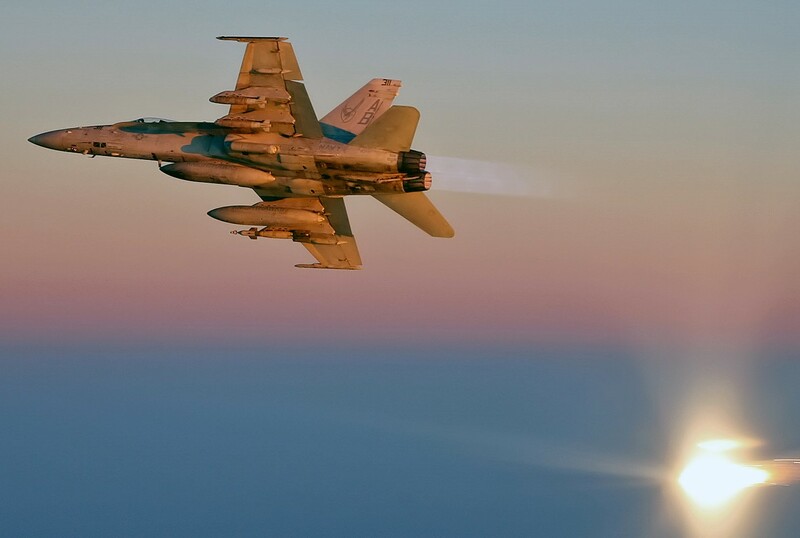 VFA-136 conducted night close air support while participating in the USAF’s large force exercise RED FLAG. 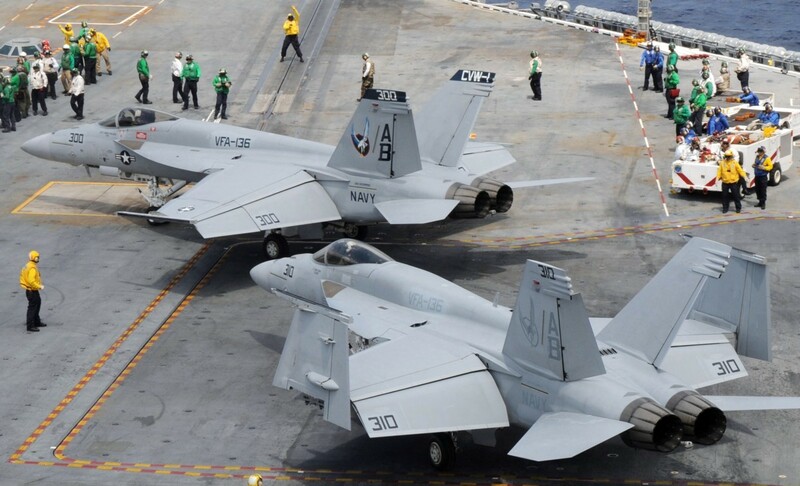 A mere two months later, the KNIGHTHAWKS were underway once more, this time supporting the USS CARL VINSON (CVN-70) as she made her first trip to sea following a four year overhaul in dry dock. 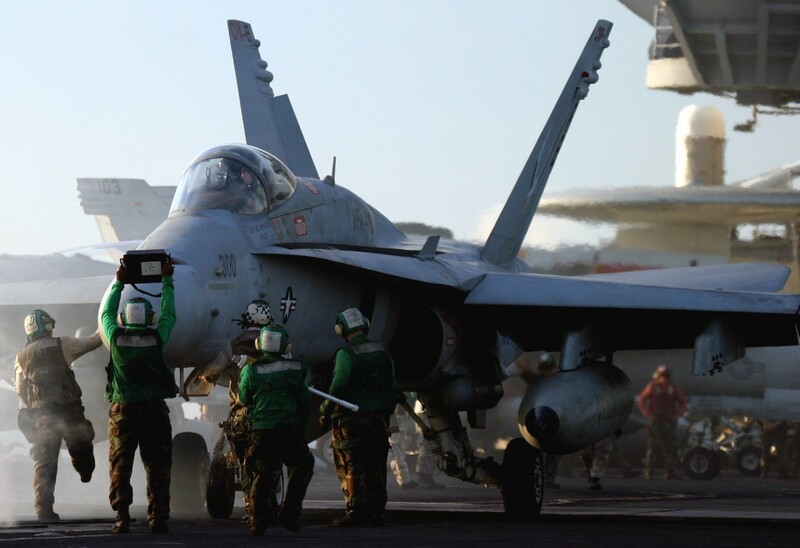 Even after the extended layoff, the crew of the CARL VINSON showed its dedication and professionalism through hundreds of launches and recoveries during the two week evolution. 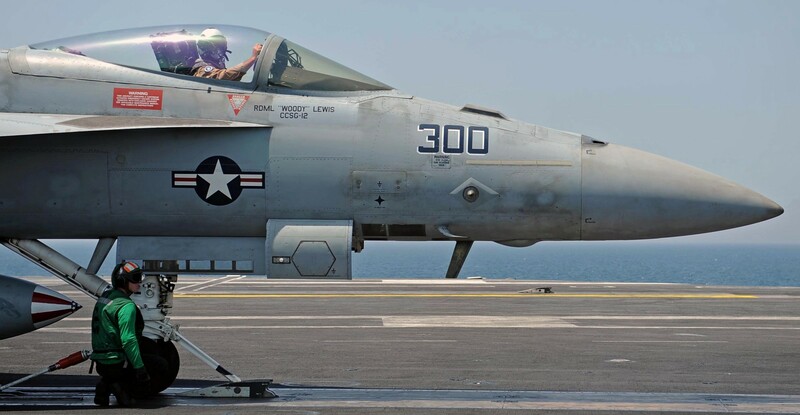 VFA-136 was privileged to have Commander, Carrier Airwing ONE, CAPT James “Hoser” Paulsen, log his 1000th arrested landing while piloting a KNIGHTHAWKS F/A-18E Super Hornet. 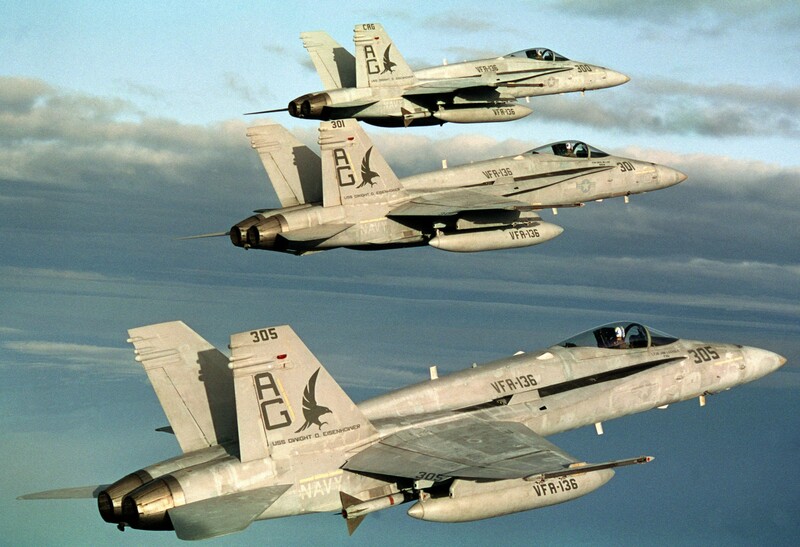 Shortly thereafter, VFA-136 spent ten days on detachment at NAS Fallon. 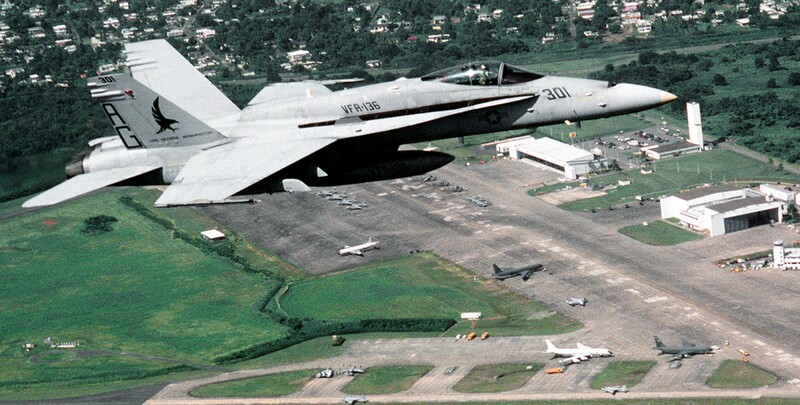 During this time air to air and air to ground skills were honed in preparation for the upcoming CVW-1 work up cycle. 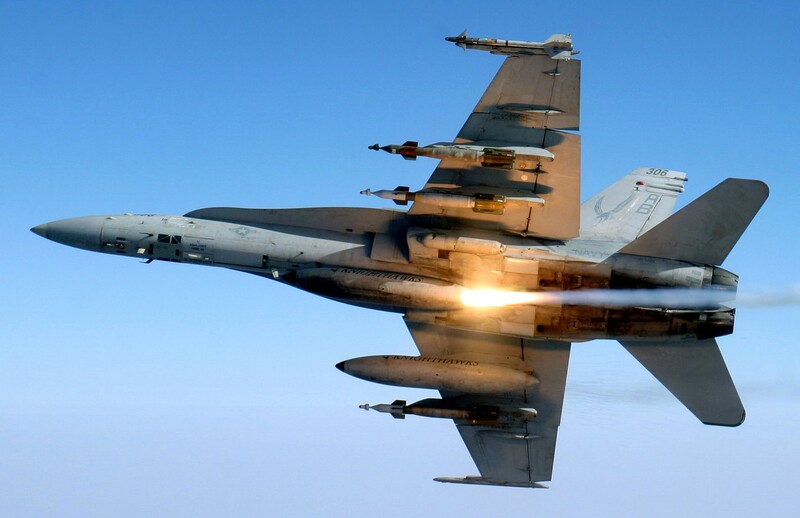 In a matter of days the KNIGHTHAWKS expended 125 pieces of mixed ordnance, consisting of both live and inert laser guided bombs, joint direct attack munitions and general purpose bombs, totaling 87,000 pounds. 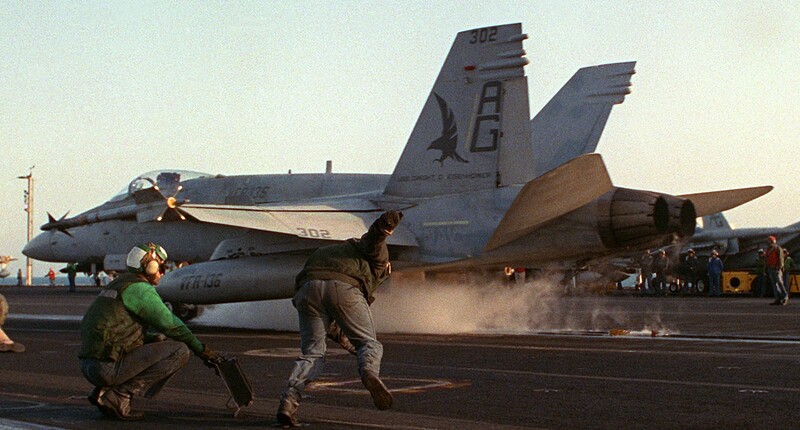 VFA-136 also expended 3,500 rounds of 20mm ammunition while strafing. 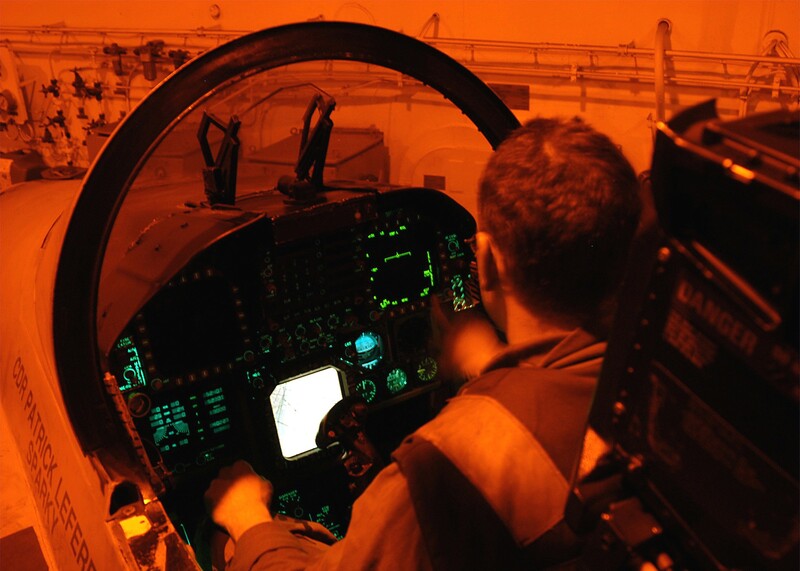 All of the pilots gained valuable training through the close cooperation with TOPGUN instructors from the Naval Strike Air Warfare Center. A few months after Fallon the squadron departed for NAS Key West to execute Air to Air Strike Fighter Advanced Readiness Program (SFARP). Flying 152 missions, the KNIGHTHAWKS made history by achieving the highest air to air kill ratio of any squadron ever to complete SFARP. 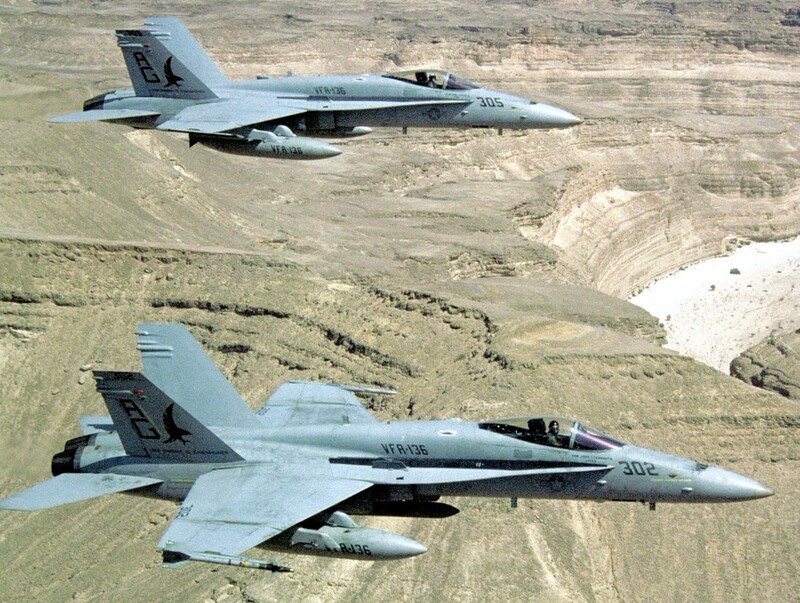 After the holidays in January 2010, VFA-136 flew 217 missions for Air to Ground SFARP. 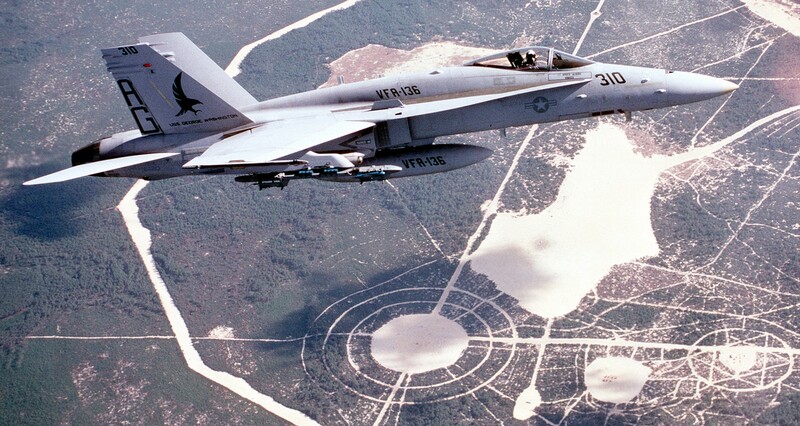 The KNIGHTHAWKS flew over 306 hours, dropping 57,905 pounds of ordnance and dispensing 4,350 rounds of 20mm. Keeping up a busy schedule sharpening the spear, the KNIGHTHAWKS pressed on to Airwing Fallon in March 2010. 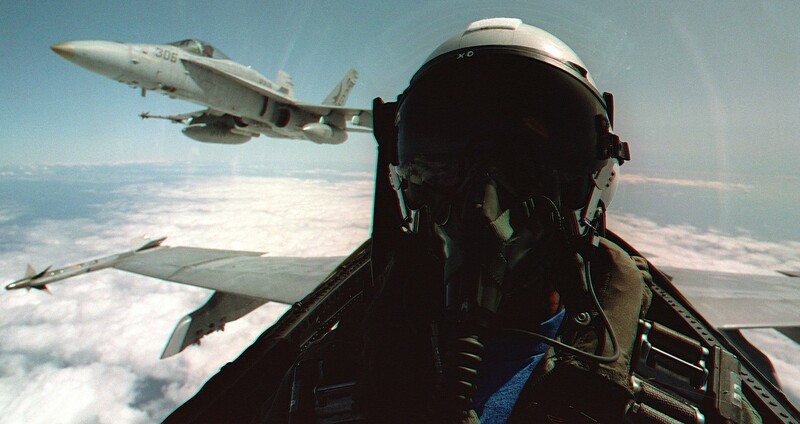 Strengthening a reputation for leading from the front, VFA-136 executed 279 missions, spanning 408 flight hours, while losing only one sortie to maintenance. 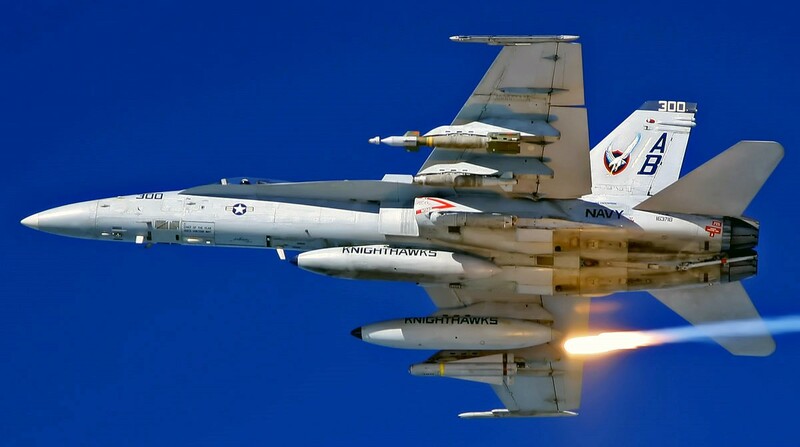 With this phenomenal record of achievement for the maintenance department, the KNIGHTHAWKS dispensed over 44,000 pounds of ordnance, fired 3,600 rounds of 20mm and once more showed superb skill in the air to air arena. Just a little over a month later the KNIGHTHAWKS were back at it again. 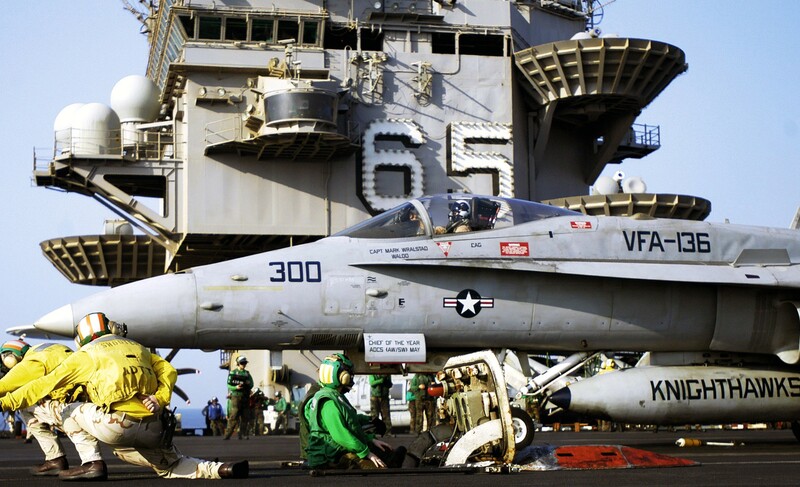 Following a two and a half year overhaul, the entire squadron embarked in USS ENTERPRISE (CVN-65) for a May 2010 Independent Steaming Exercise (ISE) allowing them to transition back to shipboard operations. 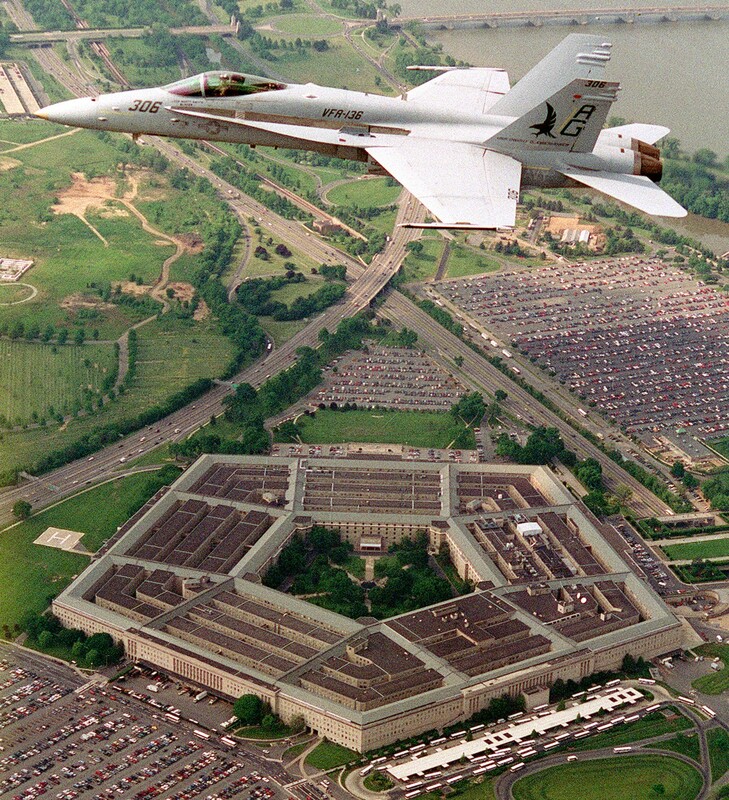 During the ISE the KNIGHTHAWKS flew 267 missions, encompassing 362 flights house, 128 day traps and 69 night traps. 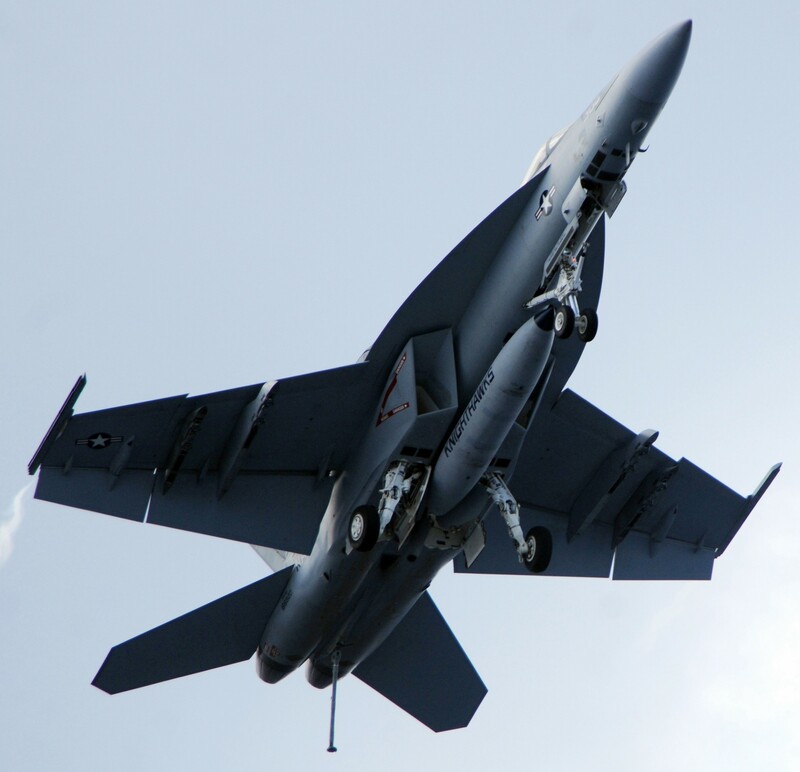 The exercise was a tremendous success for both VFA-136 and the rest of CVW-1. In August and September 2010 the KNIGHTHAWKS completed a six week period at sea during Tailored Ship’s Training Availability (TSTA) aboard USS ENTERPISE. 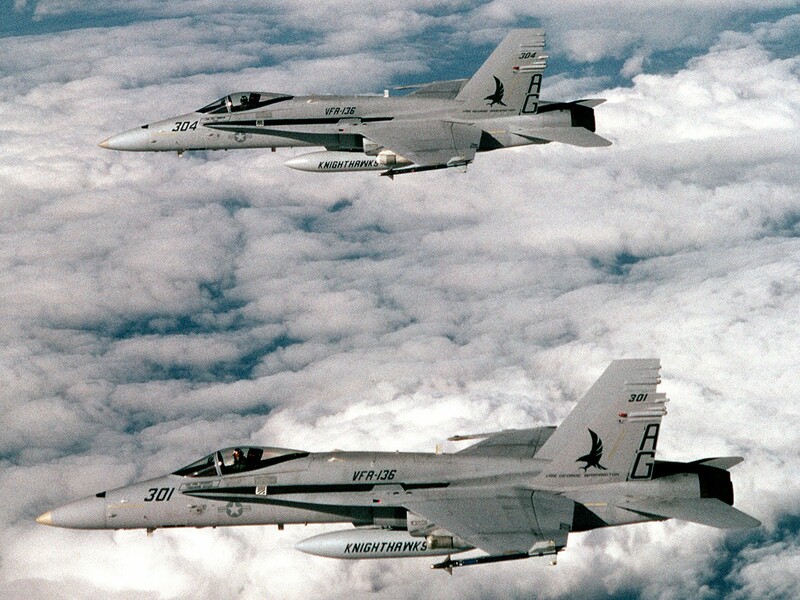 VFA-136 flew 452 missions, logging 733 flight hours. 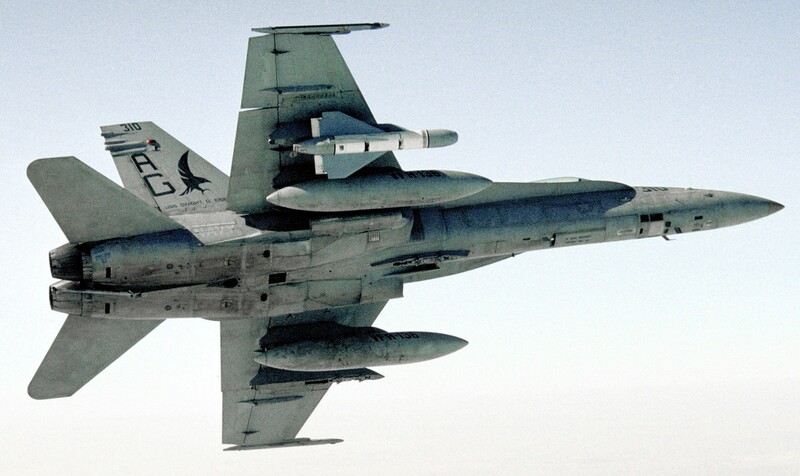 The squadron also dropped 25,735 pounds of ordnance and logged 293 day traps and 202 night traps. 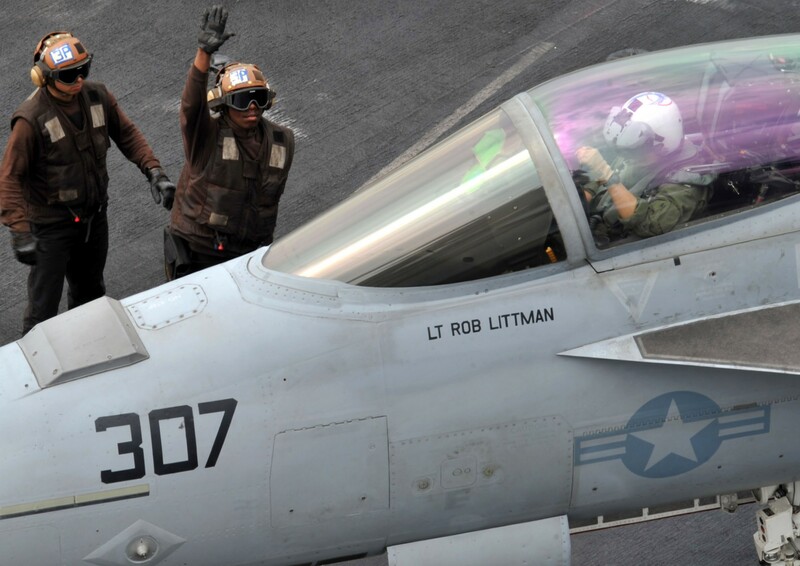 With only three weeks in port VFA-136 headed back aboard ENTERPRISE for Composite Training Unit Exercise (COMPTUEX). 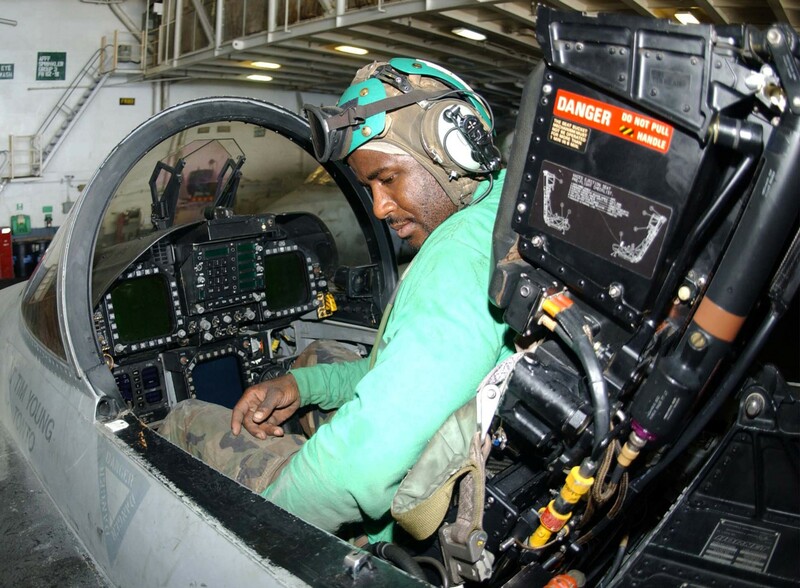 During COMPTUEX, the KNIGHTHAWKS flew 354 missions, logging 567.6 flight hours. During these missions, the squadron dispensed over 60,000 pounds of ordnance and logged 172 day traps and 127 night traps. 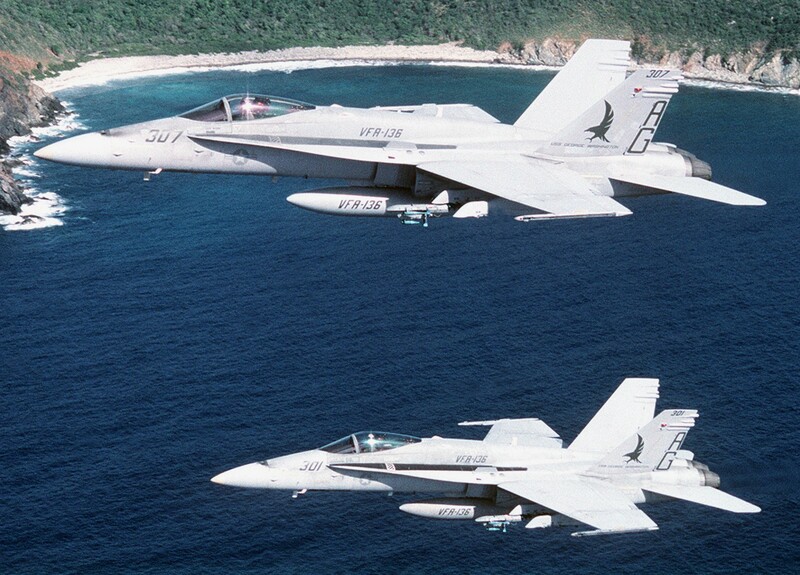 COMPTUEX was a huge success for both VFA-136 and CVW-1, achieving their Blue Water Certification. 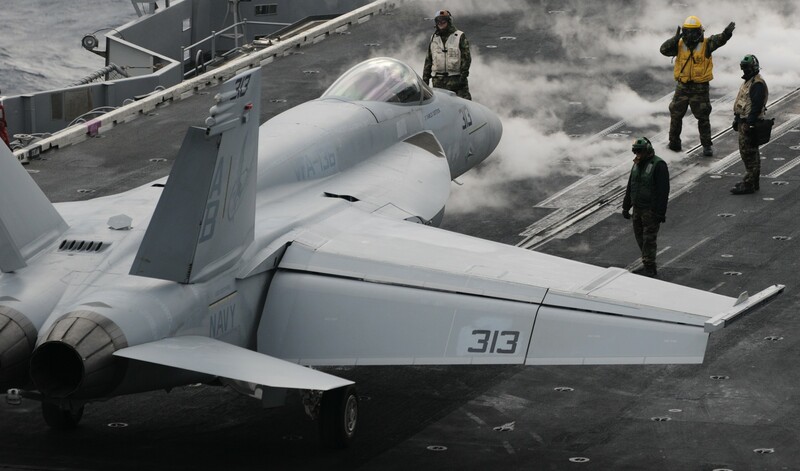 At the beginning of January 2011 the KNIGHTHAWKS, with CVW-1, deployed onboard USS ENTERPRISE to support Operations ENDURING FREEDOM and NEW DAWN. 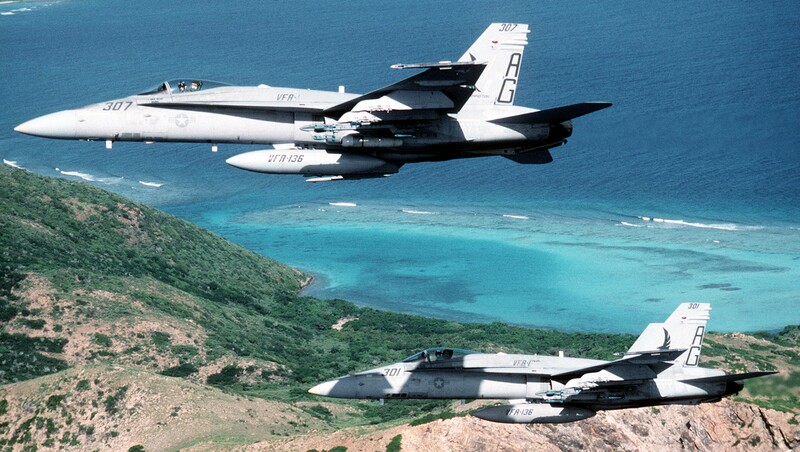 VFA-136 provided invaluable air presence flying 3524.4 hours and 284 combat sorties. The cruise was very successful for the squadron with the KNIGHTHAWKS receiving the Top Hook award for all four line periods and the overall for cruise. ENTERPRISE pulled back into port at Naval Station Norfolk in July 2011. The KNIGHTHAWKS took a short break to catch their breath and then was quickly back to work. 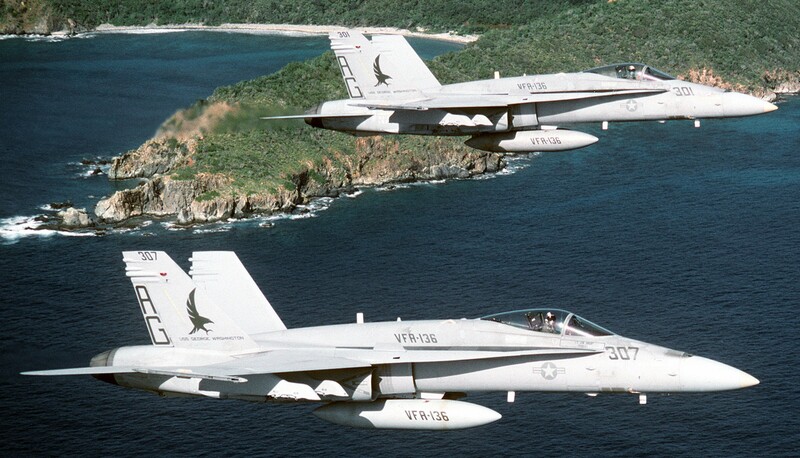 CVW-1 had to remain in surge status for the next deployment in the spring of 2012. 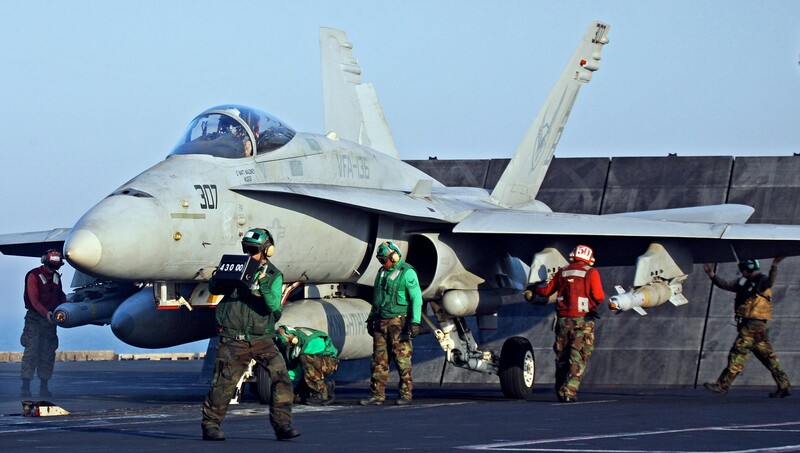 VFA-136 started a modified workup cycle in September with doing portions of SFARP and Airwing Fallon. This brought all of CVW-1 to NAS Fallon in October and November to get crucial training and to drop ordnance. 345.6 hours were flown on 178 training sorties. 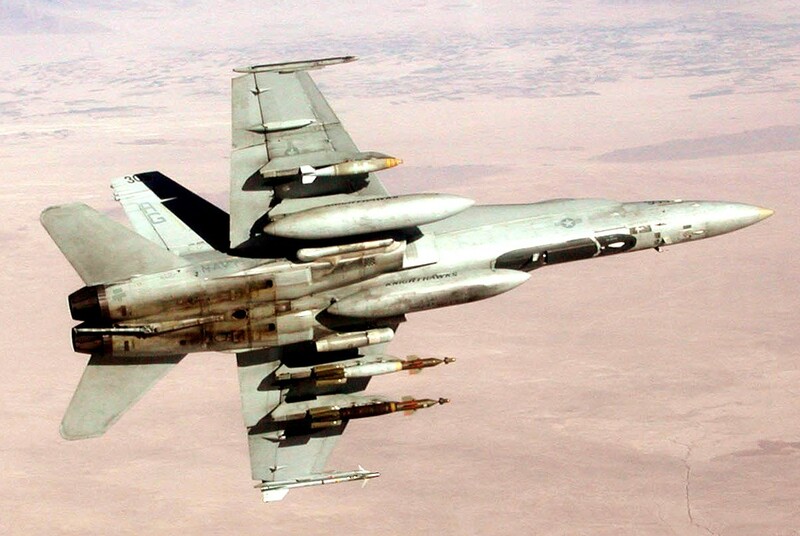 34,500 pounds of ordnance were dropped and 6,000 rounds of 20mm were expended. In the summer of 2016, the squadron was moved from NAS Oceana, Virginia to NAS Lemoore, California.